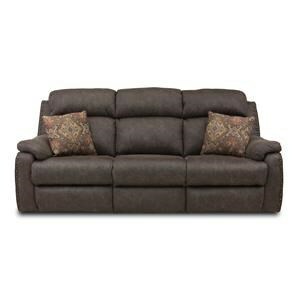 This comfortable console sofa will provide families with a relaxing place to sit and relax. 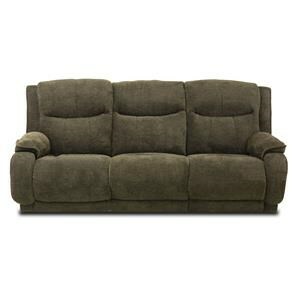 Designed in a simple, casual style, this sofa features two chair recliners with pillow topped arms and fully padded chaise components. 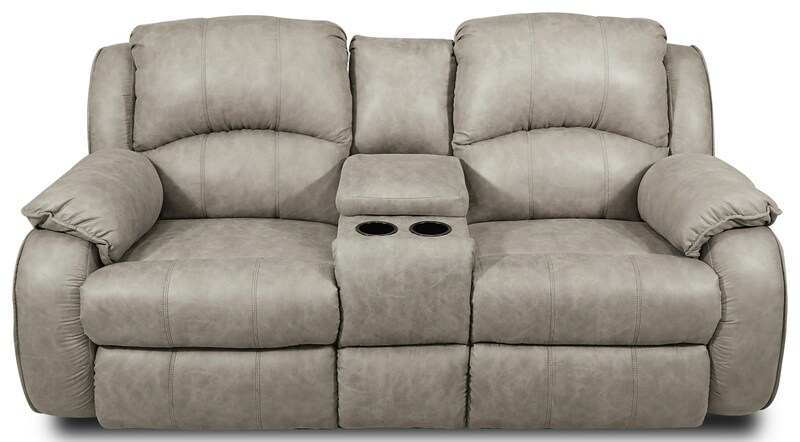 A center console with a storage space and cup-holders adds to the comfort of this reclining piece with at hand convenience for extended forms of comfort. 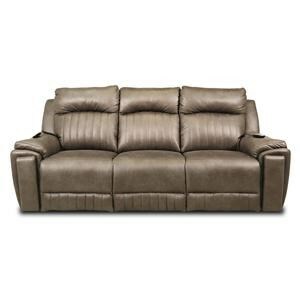 Available on its own or as a sectional component, this two-seat sofa is casual and inviting. 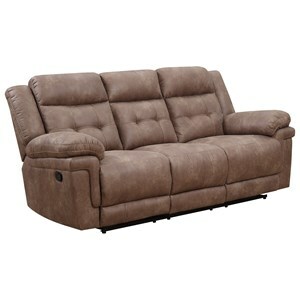 The Cagney Comfy and Convenient Console Sofa with Reclining Chairs and Cup-Holders by Southern Motion at Ruby Gordon Home in the Rochester, Henrietta, Greece, Monroe County, New York area. Product availability may vary. Contact us for the most current availability on this product. 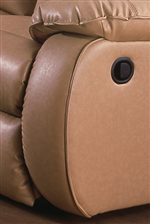 Fabric Options Available in a variety of leather and fabric options. Arm Pillow arms for comfort and casual style. 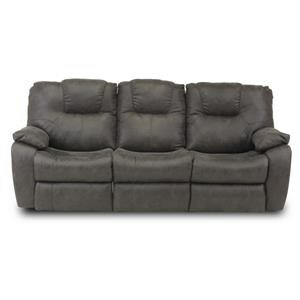 Entirely versatile and designed with your leisure in mind, the Cagney collection is a reclining sectional group with individual piece usability. As a fully customizable collection, this sectional sofa is available in a myriad of leather and fabric options and can be tailored to specifically fit the design style of your home. With distinctive curved-end styling, low cushioned arms rising into buttressed pillow-back seats and fully cushioned chaise-pad ottomans, no detail has been spared to make this collection of sectional furniture the most comfortable around. Best of all, the individual pieces in this collection all function as independent pieces as well, making moving furniture and rearranging a breeze. 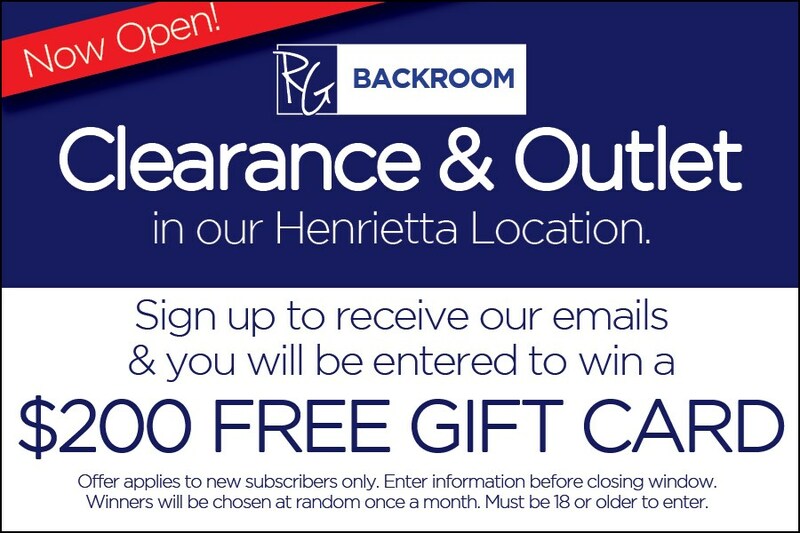 The Cagney collection is a great option if you are looking for Casual furniture in the Rochester, Henrietta, Greece, Monroe County, New York area. Browse other items in the Cagney collection from Ruby Gordon Home in the Rochester, Henrietta, Greece, Monroe County, New York area.